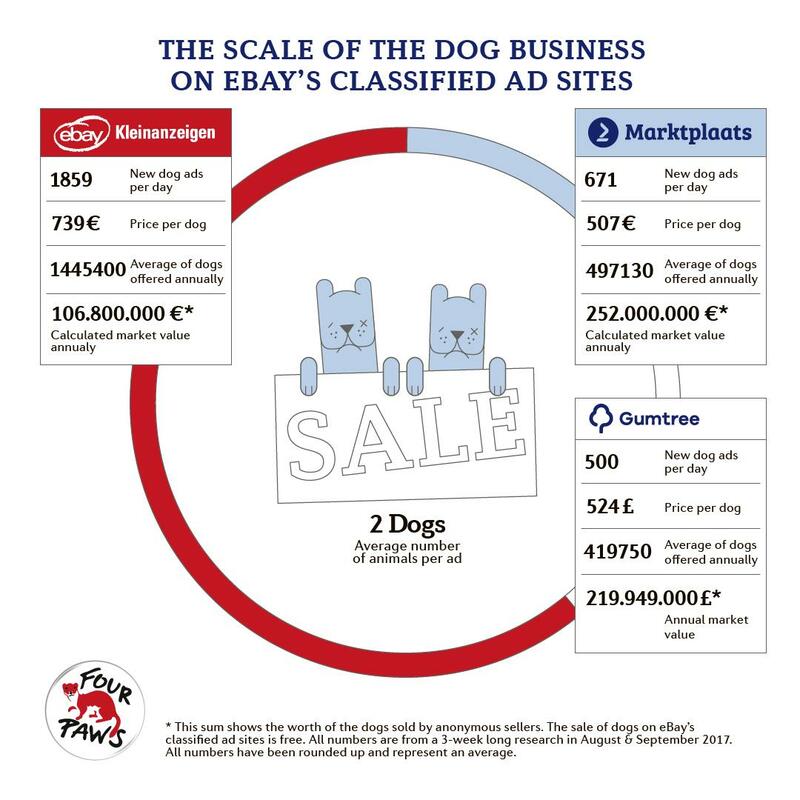 FOUR PAWS worldwideCampaigns & TopicsCampaignsThanks eBay! 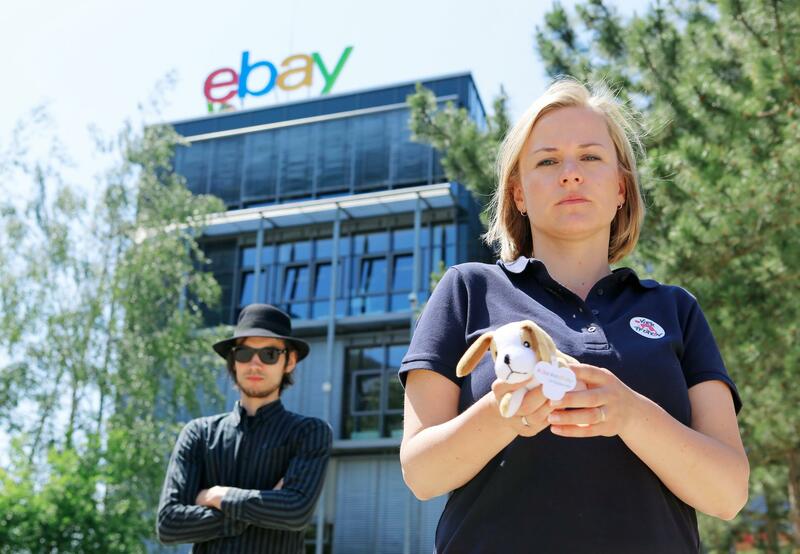 It’s becoming more and more common to buy pets online via classified ads sites. No matter if you are seeking a puppy, a kitten, a rabbit or a even a horse. The worldwide online trade of animals is booming. 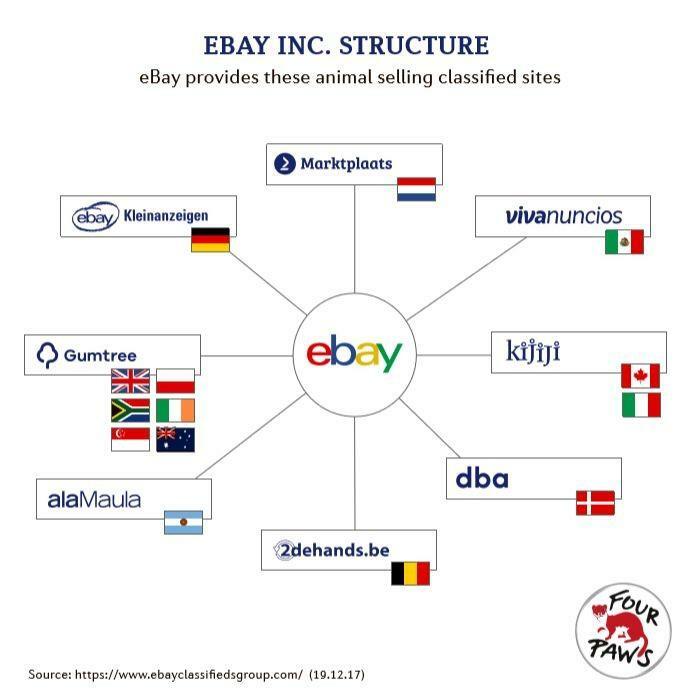 However, poor regulations have allowed many classified ads sites to become a haven for deception and animal suffering. Thousands of puppies are sold via online classified ad sites. They are often bred in horrendous conditions as part of a ruthless moneymaking machine, sometimes referred to as “the puppy mafia”.